Good morning. Please describe your background in bubble mixing. Good morning. I got involved with bubble mixing technologies, in industrial applications, over twenty years ago. The unique application engineering challenges (and opportunities) presented by bubble mixing interested my partner, Richard Koopmans and me, enough to form Pulsed Hydraulics Inc. (PHI) in 2004. Our goal was, and continues to be, to take our Pulsed Hydraulics (bubble mixing) technology to industries, like the wastewater industry, because it reduces energy and maintenance costs in existing mixing and aeration systems. What kind of industrial applications does PHI work on? We can mix just about anything with our technology, but stay away from mixing sand because it does not like to be suspended. Our target market is wastewater, as the process has multiple locations that require mixing. We have installed dozens of systems in lift stations to keep them from building up grease and odors. Using a large air bubble to mix means, for all practical purposes, zero oxygen transfer. Therefore, we are installed in anoxic zones, grease tanks, EQ basins, sludge tanks, and aeration basins which we see as our largest market. We have industrial accounts where we mix chemicals and acids. Our favorite is blending wine and spirits using compressed nitrogen. The old way to blend was to use “air rousing.” This was done by installing rows of perforated pipes in the bottom of the tank and attaching an air pipe to this grid. Since the typical mixing cycle was 45 minutes, copious amounts of air and energy were used. This process resulted in air stripping alcohol from the product. Installing the PHi big bubble mixers cut the mixing process to five minutes without stripping the alcohol and reduced energy costs associated with the compressed air production by 90%. Our “non-shear” mixing process works as follows. There is an electro-pneumatic air valve controlling air output. A one-inch through-put pipe goes to the bottom of the tank and into a stainless steel plate that squashes the air to form a wider bubble. This pulse of air is released at 45 psi for ½ a second. About 4 cubic feet of air goes through the valve and creates the bubble. The bubble rises through the spirits at a rate of 4 feet per second and lifts material to the top of the tank. Currents go to the side of tank and then materials fall to the bottom of tank creating a circular motion. There is no shear to damage the scotch. 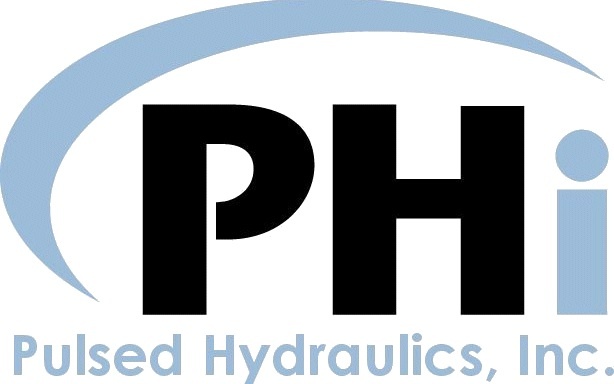 How did PHI get started with wastewater treatment plants (WWTP’s)? We were asked, years ago, to run a test at a site in New York City where nitrates had to be removed from the wastewater. We agreed to run a nine-month test on the site. We said we could use aeration for this process on an anoxic station. To do this, an anoxic basin (with zero oxygen) was made part of the process so that the nitrates would get consumed by the microorganisms. We ran the test for nine months to cover summer, fall, and winter temperatures. The test conclusion results were successful. Due to this test and some other experiences, we decided to launch a new company called O₂ Automation to focus our core technologies on wastewater treatment plants. O₂ Automation was organized in 2011 to develop and market a patented process that reduces power consumption at municipal and industrial wastewater treatment plants (WWTP). The Company is a joint venture owned jointly by PHI and Steve Holt. Mr. Holt is the President of WWaterteech, Inc. and is the Manager of O₂ Automation. He has brought over thirty years of experience in the WWTP market and aeration application knowledge to our team. O₂ Automation has licensed two PHI patents that enhance the aeration process and reduce the energy needed while meeting the EPA discharge standards. We are now well underway with four significant “concept validation” tests that will provide us the scientific data the market requires to validate our new process. Describe your mixing process please. The O₂ Automation mixing technology Hydro-Pulses compressed air through 8” stainless steel bubble-forming plates on the bottom of the tank. The bubbles are sequenced into the liquid at a rate of one every 20 seconds. These beachball-size (1 meter diameter) bubble masses fight their way to the surface. As they rise, they drag tank contents with them. When the bubble-masses break the surface and exit to the atmosphere, the tank contents roll horizontally until they meet a tank wall, or meet a wave of contents coming from another bubble-mass, which forms a virtual wall. The contents move down the structural or virtual wall until they hit the tank bottom, where they move sideways, sweeping up settling solids in their path. When installed in an aeration basin, the downward currents force the small bubbles to stay in the solution longer and increase the oxygen transfer efficiency by 15% to 50% depending on the diffuser design and location. The O₂ Automation mixing system is not like diffuser or coarse-air mixers, where air is fed continuously. Instead, each Hydro-Pulsed bubble-mass is allowed to reach the surface, and the contents allowed to move of their own momentum for a predetermined length of time. This allows O₂ Automation to use the minimum amount of energy necessary to keep solids in suspension. The patented system also decouples the mixing function from the fine bubble diffusers and uses only ten percent of the horsepower to mix the same volume of wastewater. This decoupling allows the blowers to be adjusted to provide the required air for creating DO levels needed for the biological process. How are the appropriate dissolved oxygen (DO) levels more efficiently managed by your process? The curve below shows dissolved oxygen (DO) readings in parts per million (ppm) for a typical aeration basin. The red line reflects the DO required to keep the biological process active. Any additional oxygen above the red line will not be used by the organisms to break down biological waste. For each aeration basin that operates 24/7, thousands of dollars can be saved by reducing the oxygen level. The area above the red line shows energy not needed for the process. The WWTP is designed to provide the oxygen required for peak loading. Loading decreases after the peak inflow and the DO rises above the biological requirements. The constant air flow line shows the required air used for mixing. With the current design there is a limited turn down range as the WWTP must keep the diffusers operating continuously to mix the basin. O₂ Automation’s technology is to keep the process functioning at an optimal level while reducing power consumption. Why is it important to de-couple mixing from aeration? Most existing wastewater treatment plants (WWTP) use a bank of blowers connected to a ductwork system with multiple paths. The blowers alone have a limited turn down capability and the ductwork that feeds the plant’s basins must be balanced and provide the required air to the heaviest loaded basin. When this is done, each of the basins (whether needed or not) will receive the same volume of air. To recover this energy and allow blowers to be turned off and/or turned down without affecting the required air pressure, O₂ Automation will install Festo (see www.festo.com) flow valves. These valves have a weir flow design allowing the valves to precisely control the air flow and pressure to the multiple banks of diffusers. Using the Festo valves will allow O₂ Automation to maximize the energy savings for these older designs. A typical 100 foot basin will use around 4 horsepower worth of compressed air with our mixing technology. We are using 50 psi going into 4 one-inch pipes. Each plate fires once a minute on fifteen second intervals. Each pulse uses 4 cfm every 15 seconds. A typical plant would use 50-60 hp of blowers to aerate this basin. You could only turn it down to 30 horsepower because you start to lose your mixing (TSS). Now the process is affected. Material falls below the diffusers and starts accumulating. To keep the total suspended solids (TSS) at specification, as measured by milligrams of solids per liter of water, they must remain within a one percent differential between the bottom 1 meter and the top 1 meter of the tank. Specifications typically call for a ten percent differential when combined with aeration – by separating out the mixing – our process can do a one percent differential. An improvement in TSS differential is a significant benefit to de-coupling mixing from aeration. Our mixers mix independently and thereby allow for greater turn-down of the blowers that are now focusing on aeration. To understand this better, look at the typical DO Cycle (Dissolved Oxygen) at a WWTP. You will use 4 hp. When there is little demand, you can turn off the blowers. DO demand remains constant with spikes during the lunch hour and break times. Most municipalities have the same demand curves. DO levels go up significantly after 11 pm and stay there until the morning flush - as there is almost no demand for oxygen- yet the blowers continue to aerate. The original vision was that our O₂ Automation technology would run at night to provide the mixing required for very low energy costs and be off during the day when the aeration system could do the mixing. This would save the client on blower kW at night when only mixing was required. What we found in the testing is that we do more than just mix- we increase the rate of DO (due to the down draft slowing the rise of the bubbles) and we thereby increase aeration efficiency - and reduce blower kW requirements. Blowers are now able to run at partial loads during the peak daytime hours. We believe that down the road, we will see the use of more smaller blowers and air compressors in the WWTP. The O₂ Automation test entailed adding two bubble forming plates to mix the 15x30x15 foot swing basin. The basin’s TSS measurements with the diffusers operating were different by 20% where the bottom measurement read 20% higher than the top measurement (2’ from top and 2’ from bottom) The DO reading was .60 mg/l. The O₂ Automation mixer was turned on and after 10 minutes of operations the measurements where retaken. The TSS difference between the top to bottom readings where now only 1% and the DO measured 1.30 mg/l the mixer was turned off and the TSS and DO readings returned to their starting points. Fine bubble aeration provides good oxygen transfer but does not provide effective mixing. When the TSS has a 15% to 20% difference between top and bottom we know that nutrients as well as the oxygen is not equally distributed in the basin thus the basin is not processing to its design capacity. The increase in DO is due to the mixing physics of the big bubble, as it creates a top to bottom current flow. The downward currents keep the small bubbles in the liquid longer thus they have time to transfer more oxygen. In fact the mixer uses less than 10% of the power the aeration blowers use to transfer oxygen therefore they provide a net energy savings while enhancing the performance of the aeration basin. Dr. Seongho Hong of Soongsil University was awarded a government grant to evaluate O₂ Automation technology. His study is focused on energy savings and process improvement. Dr. Hong installed the big bubble mixing system into a basin that is 78’x14’x14’ in size. The control basin is of the same size and runs in parallel with the test basin sharing the same loading. Each basin has its own turbo blower to allow matched air flows and precise energy measurements. The test basin has four bubble forming plates installed using a bridge to allow installation without draining the basin. The total power required for the O₂Automation mixing system is 4 HP to mix the test basin. The installation time to install the four bridges was less than five hours with the total time to install the pulsed air piping, the control unit and the compressor was less than 2 days. The testing period is set for six months, where multiple parameters will be measured between the test basin and the control basin. Dr. Hong did share the startup numbers with us after the first week of operation. TSS in control basin has a difference of 15% top to bottom. The test basin DO is 7.5 mg/l. The control basin DO is 5.5 mg/l. The test basin has 20% less air flow to the diffusers than the control basin. BOD removal is 25% higher in test basin then in the control basin. The first look at Dr. Hongs’ numbers shows they are following the measurements taken at Cridersville, Ohio. The aeration process in wastewater treatment plants is a recognized area of opportunity. New bubble mixing technologies will reduce the energy consumption, maintenance, of the current systems that are sized for peak demand loads infrequently seen.